Women Living Under Muslim Laws is proud to announce that our board member, Professor Karima Bennoune, has just been appointed Special Rapporteur in the Field of Cultural Rights by the United Nations Human Rights Council. Professor Bennoune, who teaches international law at the University of California, Davis, has emerged as a leading global voice in defense of women’s human rights defenders standing up against extremists and reclaiming women’s rights to culture and freedom of religion. We have been continuously inspired by Bennoune’s commitment and integrity, her expertise and knowledge on cultural rights, in particular, and on human rights in general, and by her tireless work transnationally. Karima Bennoune has worked vigorously over the last two decades to counter fundamentalisms and to promote women’s human rights. Her work in these realms, especially her book Your Fatwa Does Not Apply Here: Untold Stories from the Fight Against Muslim Fundamentalism, has been ground-breaking in illuminating the diversity of cultures in Muslim contexts, and highlighting cultures of resistance to extremist groups. Your Fatwa Does Not Apply Here was the recipient of the prestigious Dayton Literary Peace Prize for Non-fiction in 2014, and has been favourably received across the globe, from the United Arab Emirates, to Kenya, to Australia and beyond. 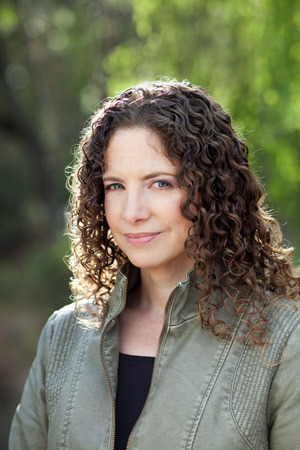 The scope of Karima Bennoune’s advocacy for women’s rights during the last two decades, as part of WLUML and elsewhere, has often centered on questions of culture – how culture is negotiated, contested, and constructed, and the implications for women’s rights and gender justice. With her continuous excellence in research and analysis, and her extensive field experience in many regions of the world, Ms Bennoune is an excellent choice and well-equipped to undertake missions in the field of cultural rights to analyse context-specific approaches for integrating cultural rights, cultural diversity and universal human rights. As Special Rapporteur in the Field of Cultural Rights, Karima Bennoune has the opportunity to build upon the work of her predecessor, Farida Shaheed, in promoting women’s human rights, which are often disregarded in the name of culture and religion. We at Women Living Under Muslim Laws congratulate her on this great achievement and wish her success and continuous excellence in her endeavours to promote human rights and women’s cultural claim and rights across the world.